Nokia Conversations: "The N900 has just leapt out of the depths and is primed to make a splash as Nokia’s debut Maemo device (sorry, couldn’t resist the fishy metaphor). 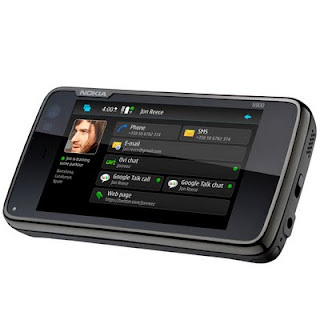 In terms of where the N900 sits on Nokia’s newly broadened product spectrum – courtesy of this week’s introduction of the Booklet 3G – it bridges that wilderness between smartphone and compact laptop. The concept behind the N900 simply being that it enables you to experience a proper desktop-like experience in a pocket-size device. We’ve gathered all the must-know details and snaps of Nokia’s first Linux-based Maemo handset. Click through to find out more and to see the N900 up close in our photo gallery. We’re not ones to typically dwell on the numbers, but this is one of those devices where the hardware paints a true picture of its potential. The N900’s pocket computer credentials are validated when you peek into its engine room, which comprises of a powerful ARM Cortex-A8 processor, with up to 1GB of application memory and OpenGL ES 2.0 graphics acceleration. Combine all that horsepower with the new Linux-based Maemo 5 software, and the N900 enables you to multi-task as you would on a PC (the Maemo platform was first designed for computers) – this set-up means you can quickly flit between stacks of apps running simultaneously and smoothly. This fusion of the Maemo 5 platform and significant processing power is brought to life through the now familiar combo of a high-res WVGA touchscreen and full physical slide-out QWERTY keyboard. It also stomachs 32GB of storage, expandable up to 48GB with a microSD card leg-up, and is home to a 5-megapixel camera with Carl Zeiss optics. Plus, other features include A-GPS, an FM transmitter, and up to 9 hours of talk time. 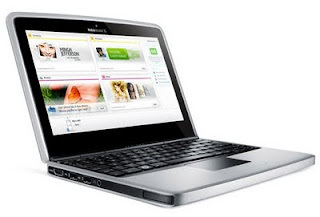 The N900 is geared up to let you browse the web as you would on a PC, with a browser based on Mozilla technology, meaning websites look exactly as they would appear on your desktop. Watching online video and enjoying online apps is also made possible thanks to full Adobe Flash 9.4 support. Couple this with speedy internet access, realized via HSPA and Wi-Fi connectivity, and the N900 promises to deliver the best pocket-friendly online experience to date. If you fancy finding out more about Maemo on Nokia visit maemo.nokia.com." FF: "With Linux based new system Maemo, Mozilla-based browser technology and also with cellular connectivity, the Nokia N900 delivers a powerful mobile experience, I luv Nokia~~"
FF: "Sweet, and good to see competition starting in this segment"
PlayStation 3 Slim unboxing and hands-on! Dimensions 11.42 x 2.56 x 11.42 in. 12.75 x 3.86 x 10.8 in. 12.75 x 3.86 x 10.8 in. Weight 7.05 lb. 11 lb. 11 lb. 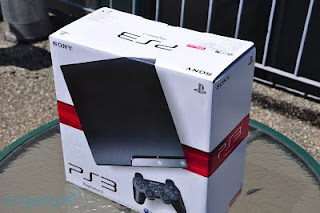 FF: "STOP CALLING MY PS3 fatty, the new PS3 slim lost that luxury item look, mine look better, lol"